The Ohio Aviation Association Officers and Board of Directors serve the Ohio aviation community on a completely voluntary basis. To assist the Officers and Board of Directors in carrying out strategic goals, the OAA engages an Executive Director. The Executive Director assists the OAA Board through financial management, membership management, membership recruitment, communication management, annual conference planning & execution, administration of OAA's governance and to serve as an advocate for our members. In August 2017, the Officers and Board of the Ohio Aviation Association introduced their new Executive Director, Stacey Heaton, AAE, to the membership. Stacey brings with her a wide range of aviation experience. 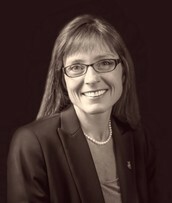 Originally from Connecticut, Stacey caught the aviation bug and pursued a Bachelor’s degree in Aviation Management & Flight Technology from the Florida Institute of Technology; later she continued her education through completion of a Master’s degree in Public Policy and Management from the Ohio State University. Her career spans both public service and the consulting service. Early in her career, she interned at an FAA Flight Standards District Office and at Reno/Tahoe International Airport. Later, she served as an Airport Planner for a worldwide engineering consulting firm. Getting back into public service, Stacey served as the Assistant Airport Manager at Palwaukee Municipal Airport (now known as Chicago Executive Airport) in Illinois. In her last employ, Stacey served the Columbus Regional Airport Authority in Ohio for over 7 years as a Planner and Project Manager. As a pilot, an Accredited Airport Executive, and other experiences, OAA is pleased to have Stacey fulfill the integral role of the Executive Director!